Because of the rapid changes in technology and the quick turn over rate of obsolete computers, there has been a huge increase in electronic waste around the globe. It is estimated that only 15-20% of e-waste is recycled, with the rest of these electronics going directly into landfills. Some electronic scrap components, such as CRTs, contain contaminants like lead, cadmium, beryllium, mercury, and brominated flame retardants. These elements must be handled by experts and should never end up in a landfill. Recycling raw materials from end-of-life electronics is the most effective solution to the growing e-waste problem. Most electronic devices contain a variety of materials, including metals that can be recovered for future uses. By dismantling and providing reuse possibilities, intact natural resources are conserved and air and water pollution caused by hazardous disposal is avoided. Additionally, recycling reduces the amount of greenhouse gas emissions caused by the manufacturing of new products. It simply makes good sense and is efficient to recycle and to do our part to keep the environment green. 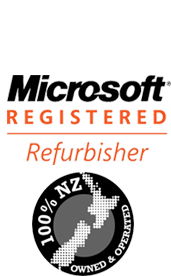 IT Recycle established 2010 is able to collect your old IT equipment Auckland wide.We make sure computer recycle makes a positive environmental impact in every aspect of the company.